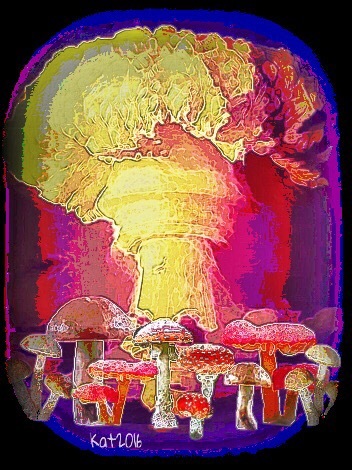 This entry was posted on Saturday, July 30th, 2016 at 11:44 am	and tagged with Haiku, mushroom cloud, mushrooms, Poetry, tjs household haiku challenge and posted in Challenges and Writing Prompts, Digital Art & Photos, Haiku, Poetry. You can follow any responses to this entry through the RSS 2.0 feed. Of course, I love the whole piece, each separate but equally beautiful, stunning Haiku. Thanks Dorna. I learned about fungophobics in Wikipedia when I did a bit of research for the prompt. There is a phobia for everything! Haha! We’ve got to be careful who we hand power to. Brilliant! And yes, very true. Scary times in the USA with Trump in the wings! What a thought provoking trio! I love them.